Our booth at Aneberries in Guadalajara, Mexico is all set up and our team is ready to greet you. 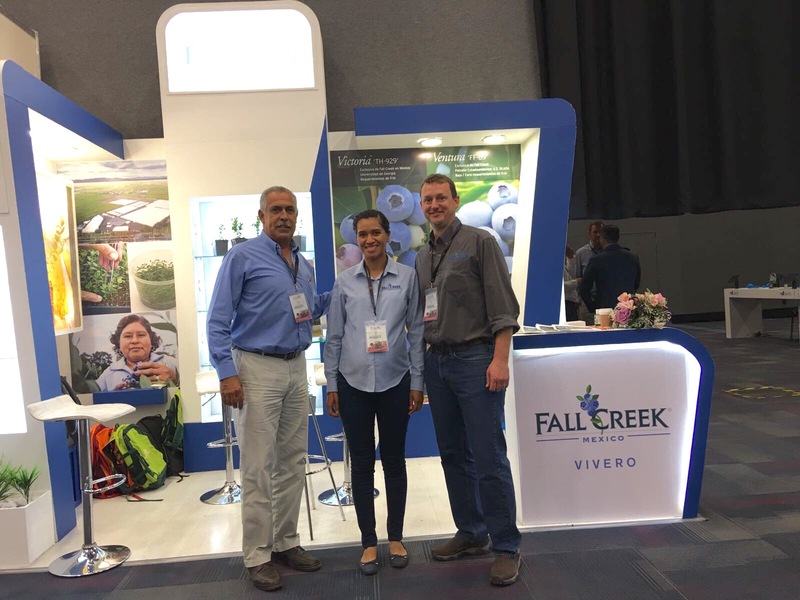 If you’re attending Aneberries, please stop by our booth and meet Jeff Ford, our Latin America Sales Manager, Karen Ruiz, our Technical Grower Support Representative and Salvador Alvarez Barboza who represents sales of Fall Creek’s plants in Mexico. Whether you are new to farming blueberries or wish to expand your plantings, talk to our team early about your blueberry projects. They have tremendous expertise to share from field planning and variety selection to technical crop management and market intelligence. Fall Creek also has an exceptional variety portfolio for the growers of Mexico and new varieties coming soon. We are proud to serve the blueberry growers of Mexico from our nursery in Tala, Jalisco, Mexico.